Our project experience includes a wide range of completed work ranging from medium & low density independent living projects through to high & low care nursing home projects. As part of the design process we seek to maximise areas for communal recreational opportunities which are sited in a range of engaging and stimulating settings. 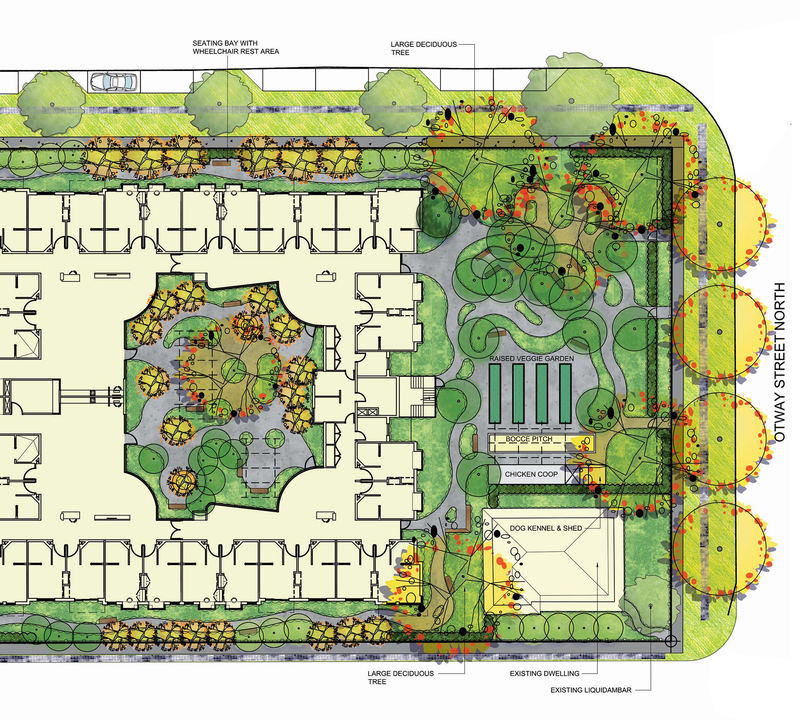 We recognise that planting design is an integral component of aged care design and assists in allowing residents to engage with their place of residence through a variation of flowering, textured, aromatic and edible planting forms.